On Twitter Monday, linebacker Shea McClellin voiced his appreciation for the Patriots and the fans following his release from the team after a failed physical. 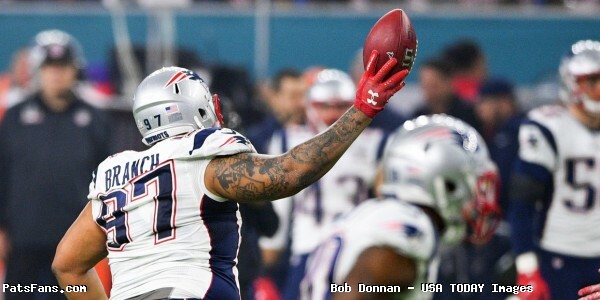 In March 2016, McClellin signed a three-year, $8.95 million contract with the Patriots and contributed to the teams fifth Super Bowl championship with 39 tackles, a sack, and a fumble recovery. Notable 2016 moments included a blocked field goal attempt against the Baltimore Ravens when he leaped over the line of scrimmage and a 69-yard fumble return against the Miami Dolphins for a team record longest return. The NFL would ban McClellin’s leap play the following offseason, citing safety concerns. In 2017, McClellin was placed on injured reserve in September and never saw the field again following a concussion. By releasing McClellin, the Patriots cleared $2.3 million dollars of cap space. This entry was posted in 2018 Patriots Offseason, Patriots News, Patriots Twitter and tagged Shea McClellin on March 19, 2018 by Robert Alvarez. We’ve been doing profiles on each of the free agents and will have more in the upcoming days and give you our take on whether they return or move on. One of the biggest surprises for the end of the season was the addition they made during Week 17 of the regular season when OLB James Harrison fell into their lap after he was surprisingly and probably not wisely let go by the Steelers. The Steelers barely used Harrison in 2017, he played a total of 29 snaps total for the season. He wasn’t happy about it and let the coaches know about it. They released him and the 39-year old cleared waivers. No team contacted him except the Patriots. He signed and immediately put his nose to the grindstone trying to learn the Pats defense in a crash course. The conspiracy theorists who see a nefarious end to everything New England does chalked up the signing as merely a Bill Belichick ploy to steal the Pittsburgh playbook for when they were supposed to meet in the AFC Championship Game. Wrong again. Harrison fulfilled a role and played meaningful snaps more each week. Meanwhile, the team that didn’t need him, spent more time talking about New England and forgetting they had a game against a Jacksonville team that had blown them out in Pittsburgh early in the season. Harrison could have been used as the Jaguars scored 45 points and knocked them out. 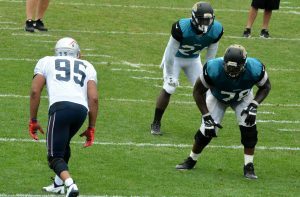 Harrison played a key role in the Patriots comeback win over the Jaguars a week later and played an even bigger role in the Super Bowl. 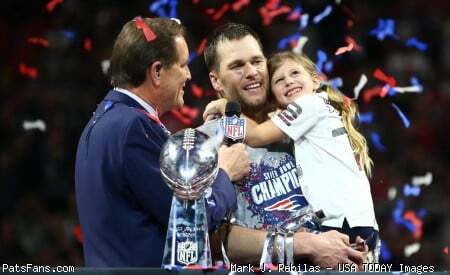 Now with free agency approaching, the Patriots and Harrison both have to do what is in their best respective interests. Why Harrison Will Return: The Patriots lucked into a player who helped them down the stretch by one of their bigger rivals in the conference. Despite being the NFL’s oldest defensive player at 39-years old, he fulfilled a much-needed role. He did a very good job of setting the edge, providing a sorely needed ability at rushing the passer and was decent dropping into coverage, an issue that plagued the Patriots’ linebackers all year. Harrison earned praise from Bill Belichick who lauded his ability to learn on the fly and was constantly putting more on his plate as the weeks dragged on. His teammates raved about his professionalism and his knowledge, he was quick to help his younger teammates, something his experience lent itself to extremely well. He could easily return to a type of role that Danny Amendola was used in the offense. The coaches could limit his pitch count to save him to have fresh legs for the defense down the stretch and into the playoffs. His performance down the stretch and into the playoffs showed (much like another 40-year old) that age is a number. He still had plenty of gas left in the tank and can be a valuable, if limited contributor on the field and be a steadying veteran presence on the field especially at crunch time during games. Why Harrison Won’t Return: There is a dearth of speed and athleticism for the Patriots at linebacker, and with so much uncertainty at the position heading into 2018, the Patriots could possibly not afford to add another player who’ll they have to limit his pitch count during the regular season. 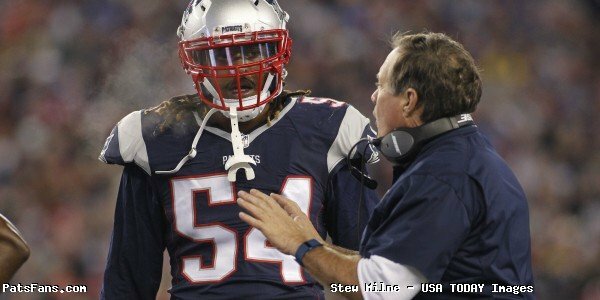 Dont’a Hightower is a very talented but injury prone player who can’t seem to get thru a season intact. Shea McClellin missed the entire season with concussion issues and may be told it isn’t in his best interests to play professional football anymore. Both were missed during the season. Harvey Langi was an intriguing prospect but was badly injured in a car wreck when he and his wife were rear-ended at a traffic light. The Patriots aren’t sure what they have in Langi yet, although he has potential. At this point, Elandon Roberts is who he is. He can look tremendous one play and lost on the next. He’s a backup. Marquis Flowers played well this season and could be in line for an increased payload next year. Kyle Van Noy was the glue that held it all together. Harrison is going to be 40, and no one keeps themselves in better physical condition or works harder than he does. If there is a doubt check out his Instagram page. But playing one of the most physical positions at 40 is really tough. Can he hold up physically over 16 games and the playoffs? Bottom Line: The Patriots appealed to Harrison and vice versa. The team liked what he brought to the table and he feels he can still contribute. 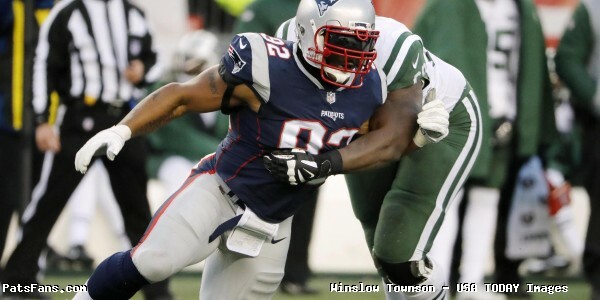 He told Mike Reiss of ESPN, that he wants to play until he is 40 or 41. I don’t believe money will be an issue with Harrison this season. He’s made some good money and now he wants a chance to compete for another championship while getting another season or two in the sun. There may not be a big market for a 40-year old linebacker despite what transpired in New England at the end of the season, so the team won’t have to outbid many other would-be suitors. Had the injury situations with Hightower, McClellan, and Langi be different, I could easily see the team opt to bring Harrison back for a short-term contract and let him play out his career in a place where he can still contribute 15-25 snaps a game. But the current situation that exists in New England right now may preclude that. There are far too many questions lingering at the linebacker position. So, it is the opinion here that the team will go for an injection of youth and athleticism at the position. And sadly I think the chances are better than 50/50 that Harrison won’t be brought back. 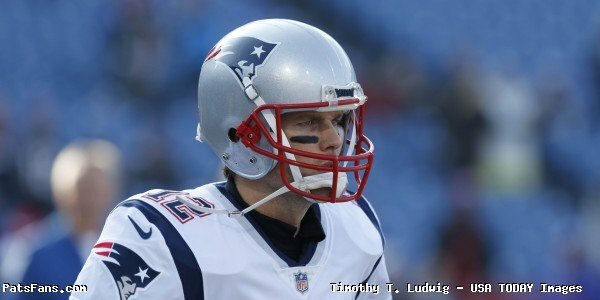 This entry was posted in 2018 Patriots Offseason, NFL Commentary, Patriots Commentary, Patriots News, Patriots Rumors and tagged 2018 Patriots Free Agency, 2018 Patriots offseason, Bill Belichick, Dont'a Hightower, Elandon Roberts, James Harrison, Kyle Van Noy, Marquis Flowers, New England Patriots, NFL, Patriots, Patriots edge rushers, Patriots linebackers, Shea McClellin on February 19, 2018 by Steve Balestrieri. The New England Patriots entered their week 13 matchup with the Buffalo Bills seeking to get one step closer to locking up yet another AFC East division title and would continue a stretch of five divisional games in six weeks to round out the 2017 regular season. In the first quarter it appeared the Bills would draw first, until a former teammate just recently released from their practice squad, came back to haunt his former team. New England, meet your new defensive end Eric Lee. A red zone interception by Lee thwarted early Bills points. Getting the ball back and an early momentum shift, it appeared the Patriots would make the Bills pay for their costly interception, but Tom Brady missed his recievers on third down and were forced to settle with an early field goal. CBS cameras would catch Brady in a heated argument with offesnive coordinator Josh McDaniels over the missed connections downfield. 3-0 Patriots after a quarter. Althought the Patriots still struggled to find a rhythm in the end zone, Eric Lee continued to punish his former team on defense. In the second quarter, the Patriots running game stepped up, with Dion Lewis tallying the teams longest running play of the season. That was the longest run of the season for the Patriots. Unfortunately the Patriots again would comeup short in the red zone and have to settle for a second field goal. 6-0 Patriots at the 6:20 mark of the second quarter. The Bills would finally get on the board with a Stephen Hauscka field goal to cut the lead in half to 6-3 but the Patriots running game continued to shine, this time with Rex Burkhead. The career long 31 yard run by Burkhead would setup a third Gostkowski field goal and the Patriots would go into the half surprisingly only up six with no touchdowns. In the second half, the trio of Lewis and Burkhead continued their big day, and would finally setup the first touchdown of the game. Burkhead would find the end zone and a 16-3 Patriots lead. Despite the lack of touchdowns, Buffalo native Rob Gronkowski also had a big day on the stat sheet, nine receptions for 147 yards, including this ridiculous catch. Unfortunately a short time later, it would all be overshadowed by an uncharacteristic dirty play by Gronkowski after losing his cool about being held with no flag. Gronkowski dove onto Bills cornerback Tre’davious White well after a play was over that resulted in a Bills interception. Gronk earned a one game suspension as a result and heavy criticism from around the league. Rex Burkhead continued his strong game with his second touchdown of the quarter, and the Patriots all but put away the Bills with a 23-3 lead that would stand as the final score. The Patriots would earn their tenth win of 2017 and eighth in a row. The #Patriots have now won 10 or more games in a season for the 15th consecutive season. The second-longest streak in NFL history (#49ers, 16-straight from 1983-1998). This entry was posted in Patriots Commentary, Patriots Photos, Patriots Video and tagged Brandon Bolden, Dion Lewis, Eric Lee, Julian Edelman, Malcolm Butler, Rex Burkhead, Rob Gronkowski, Shea McClellin, Stephen Gostkowski, Tom Brady on December 7, 2017 by Robert Alvarez. Entering their week 10 matchup with the Denver Broncos, the New England Patriots were seeking to put behind their past demons of struggle in the mile high city. Coming into Sunday night, quarterback Tom Brady was jut 3-7 lifetime in Denver, and head coach Bill Belichick held a .500 record of 9-9 versus the Broncos while in New England. The game marked the return of tight end Martellus Bennett, who signed on with the team after an ugly release from Green Bay. During the pregame, WBZ TV cameras caught Tom Brady on a brief face time call. Two of Tom Bradys predecessor’s caught up on the sideline as Drew Bledsoe made an appearance with his son John, and chatted with his former backup Scott Zolak. Great to catch up with Zo at the game tonight!! Away from the stadium, social media briefly exploded when former Patriots safety Rodney Harrison called out former Indianapolis Colts head coach Tony Dungy for being a Patriots “hater”, Dungy would change his prediction as a result. In the first quarter, the Patriots special teams stepped up early as tight end Jacob Hollister recovered a fumble on a Broncos punt return. 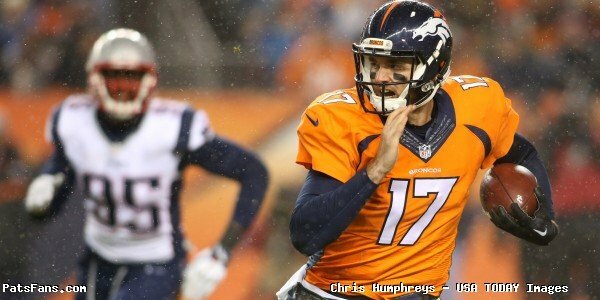 Denver muffs the punt on the return and the Patriots recover at the Broncos' 24 yd line. Great job by Hollister on the recovery after the initial hit by Jones. Broncos have 14 turnovers in their last 5 games and still virtually a whole game to play tonight. The Patriots would cash in on a Brady strike to running back Rex Burkhead and a 7-0 lead. 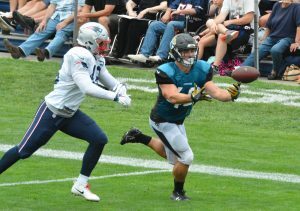 Burkhead is a beast. Two plays. 24 yards. Touchdown. Following a Broncos field goal to cut the lead to 7-3, special teams did it again as Dion Lewis returned the kickoff 103 yards to put the Pats up 14-3. My bro @DionLewisRB 103 yds to the crib!!!!! Don’t kick to that man!!! The Broncos responded with another drive into Patriots territory, but again only came away with three and the Patriots led 14-6 after one quarter of play but Martellus Bennett also hauled in his first catch in his return. Dwayne Allen: eight games, zero catches. Martellus Bennett: one play, one catch. Early in the second quarter, the Patriots red zone struggles continued as they went up 17-6 with a Stephen Gostkowski field goal but Broncos quarterback Brock Osweiler also had problems of his own with accuracy. Patriots are now 6-for-24 in the red zone on third down this season. Not good. The theme of big special teams plays continued for the Patriots, as Rex Burkhead blocked a punt leading to another Gostkowski field goal to extend the lead to 20-6. Quite a night for @rbrex2022. The Patriots defense held the Broncos to a third field goal to make the score 20-9 midway through the second, and Brady responded with a much needed touchdown to tight end Dwayne Allen, who at long last got his first reception of 2017, and it was for six. 27-9 Patriots heading into halftime. SOMEBODY HOLD ME! DWAYNE ALLEN CAUGHT A PASS. AND ITS A TOUCHDOWN. AND HE BEAT VON MILLER. An "[expletive] yeah" from Tom Brady after Dwayne Allen becomes the 68th different player to catch a touchdown pass from him. First catch of the year for Allen. The Patriots have scored in the final minute of the first half in seven of their nine games this season, including each of their last six. Brady with a passer rating of 139.6 in the first half..
To open the second half, the Broncos finally managed to reach the end zone to get the defecit to 27-16 following a Brock Osweiler strike to Demaryius Thomas. …but Brady woukd find Cooks deep to immediately shift the momentum back to New England. This catch would setup Dion Lewis’ second touchdown of the game and push the lead back up to 34-16 through three quarters. As the Patriots defense continued to keep the the Broncos at bay, the Brady offense continued to attack the Denver defense, and they soon found themselves running away with the game in the fourth quarter. A 41-16 lead following Brady’s third touchdown pass of the game to running back James White. Chris Collinsworth didn’t have the best of moments. Eventually, Bill Belichick took Brady out, and fans were treated to a Brian Hoyer sighting in a convincing 41-16 victory over the rival Broncos in their house. The Patriots would move to 7-2 in 2017 while the Broncos five game slide continues as they moved to 3-6. As a Centaur, I have a deep respect for and bond with the Broncos — not only as a true rival, but as a brother of a similar breed. With tonight's victory, Bill Belichick ties Tom Landry for third-place on the all-time wins list, with 270. 12th straight road win for #Patriots, tying AFC record. The Patriots are allowing 13.4 points a game the last five games. 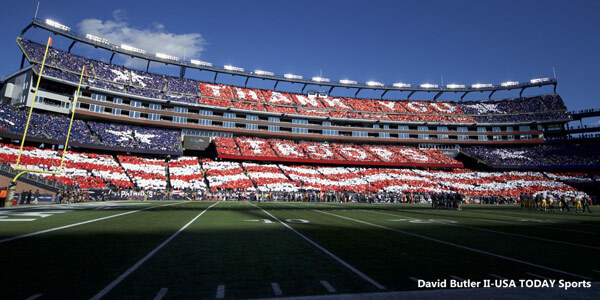 This entry was posted in Patriots Photos, Patriots Video and tagged Brandin Cooks, Deatrich Wise, Dion Lewis, James White, Kyle Van Noy, Malcolm Butler, Patrick Chung, Rex Burkhead, Rob Gronkowski, Rob Ninkovich, Shea McClellin, Stephon Gillmore, Tom Brady on November 15, 2017 by Robert Alvarez.